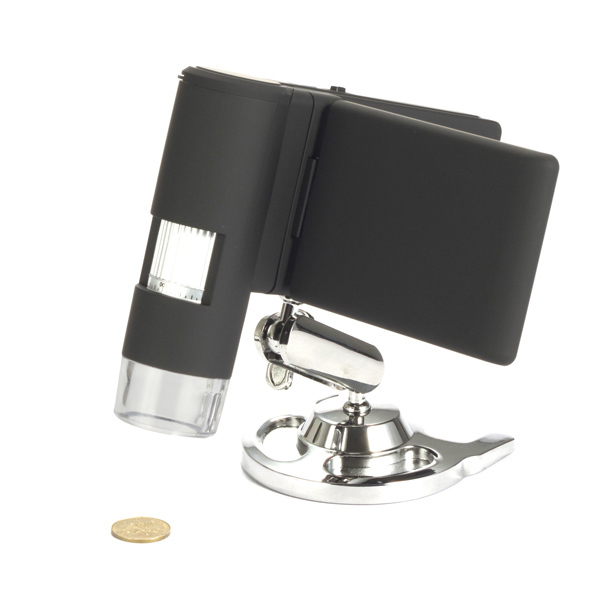 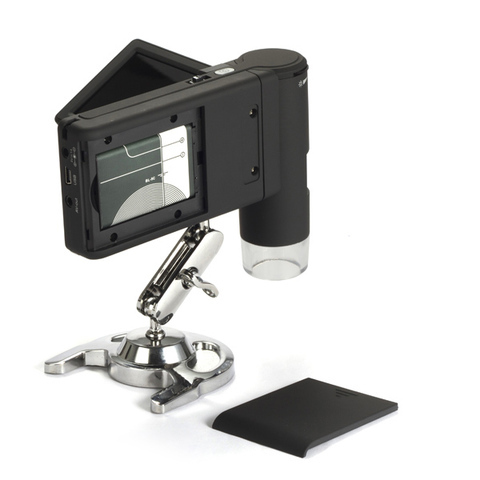 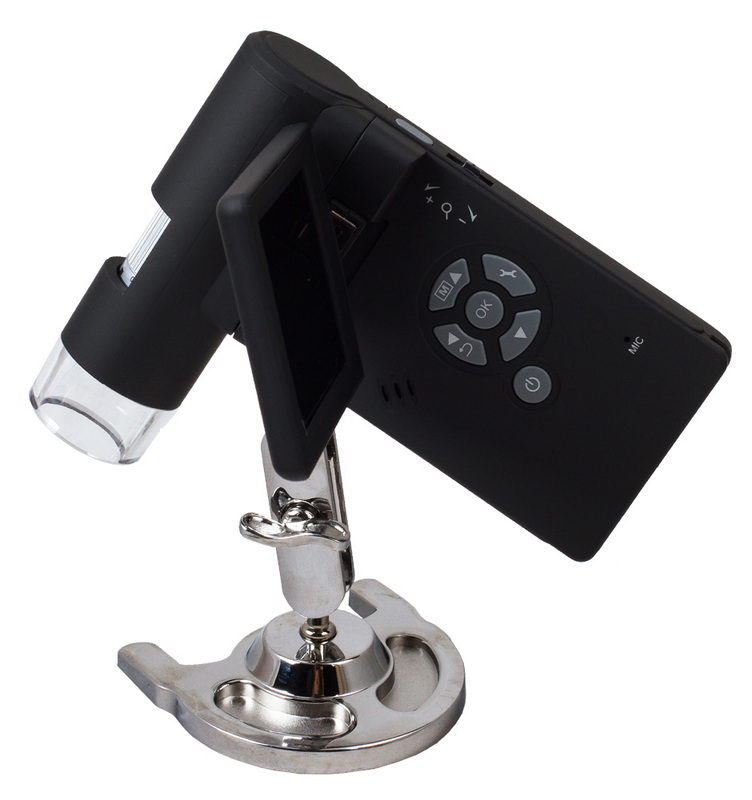 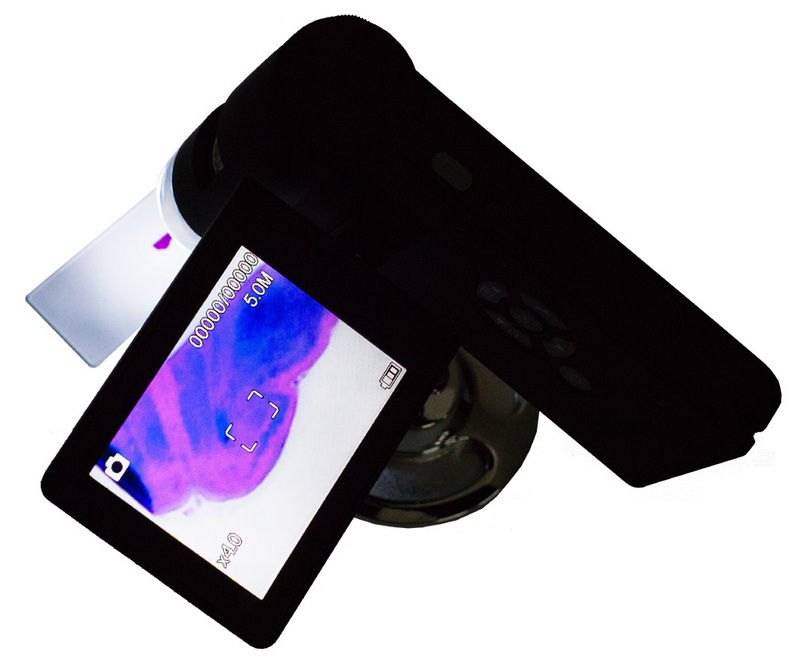 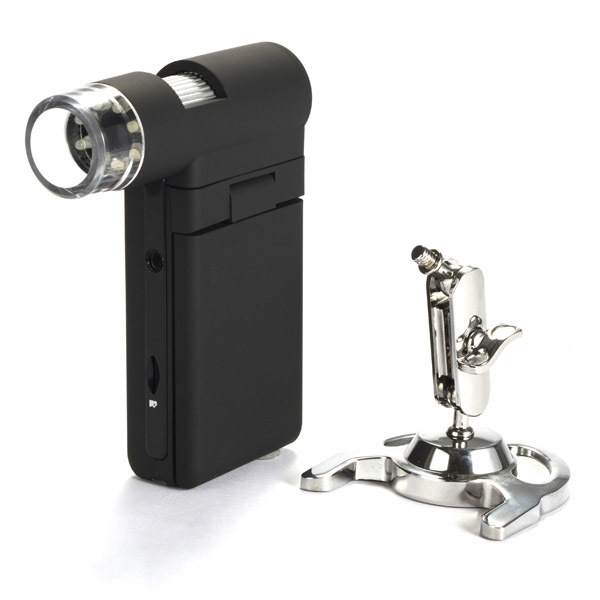 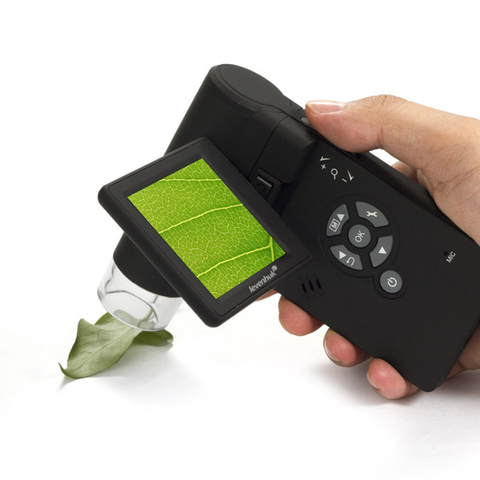 Levenhuk DTX 500 Mobi is a portable microscope with a built-in 3-inch color LCD display. 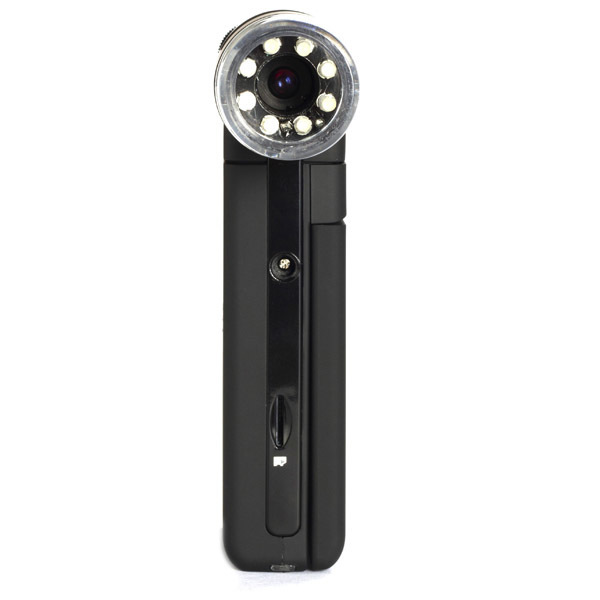 This model produces magnification up to 400x and features smooth digital zoom up to 4x. 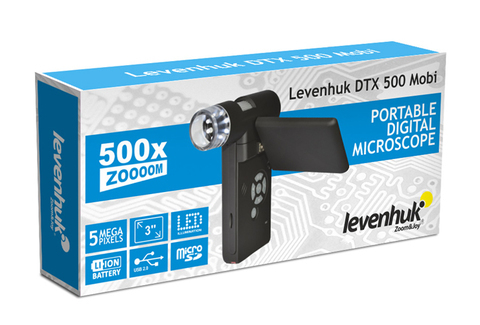 Levenhuk DTX 500 Mobi is perfectly suited for microscopic observations of any surfaces, both at home and outside. 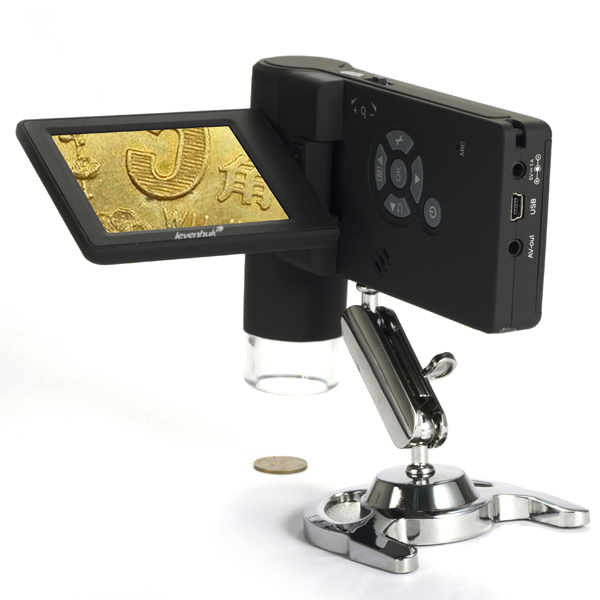 All of this makes this microscope an excellent gift for any schoolchild. 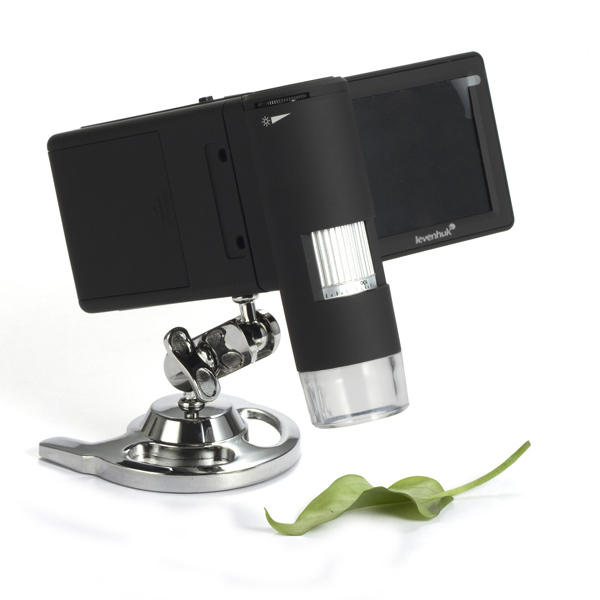 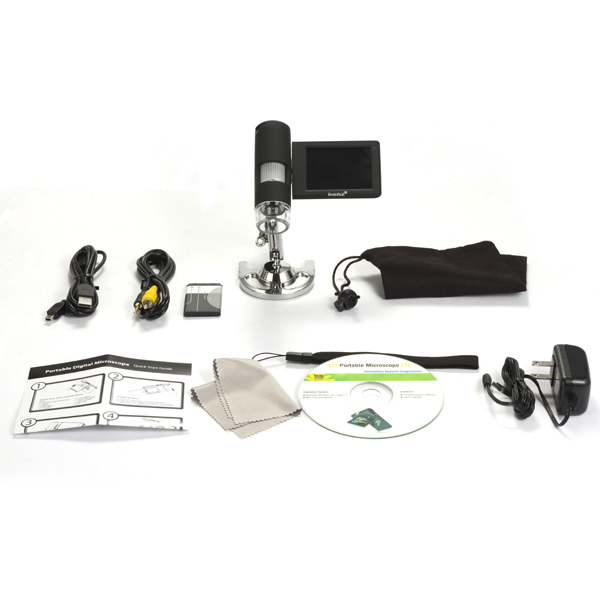 Levenhuk DTX 500 Mobi Digital Microscope allows you to easily take pictures and record videos of observed objects. All files created during your observations are stored to the microSD card. All you need to do to transfer your images and videos to your PC is connect the microscope to it using the USB cable included in the kit. 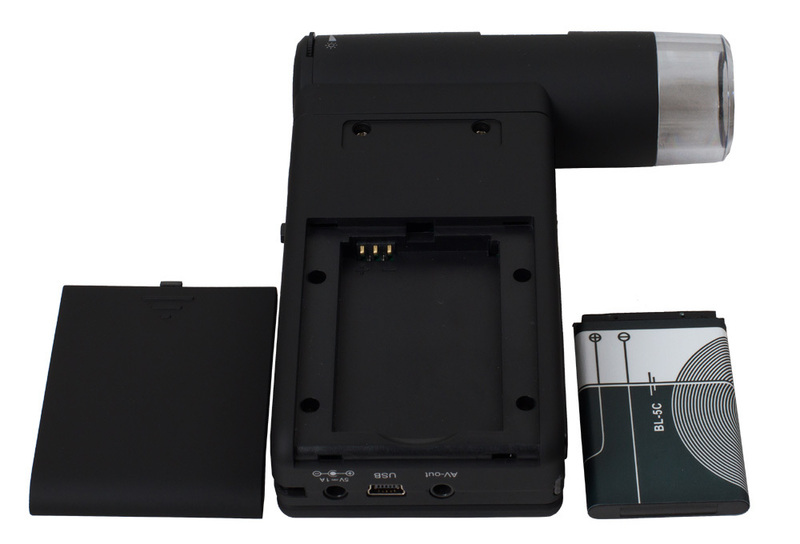 The kit also includes special software allowing you to edit created files and perform precise measurements of linear sizes, radiuses and angles with an accuracy of 1 micrometer or better. Levenhuk DTX 500 Mobi Digital Microscope is powered by the Li-ion battery included in the kit, which provides for up to 4 hours of standalone work. 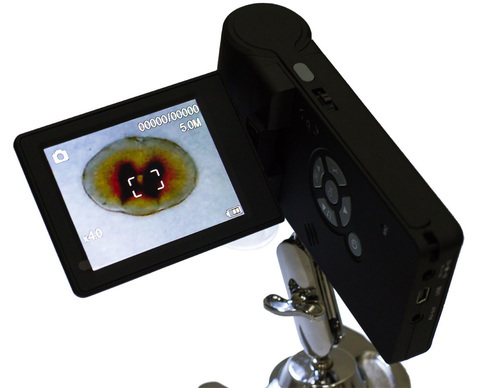 Microscope’s body is rubber-armored, which makes it pleasant to the touch and also provides for a comfortable grip and prevents the device from slipping out of your hands. 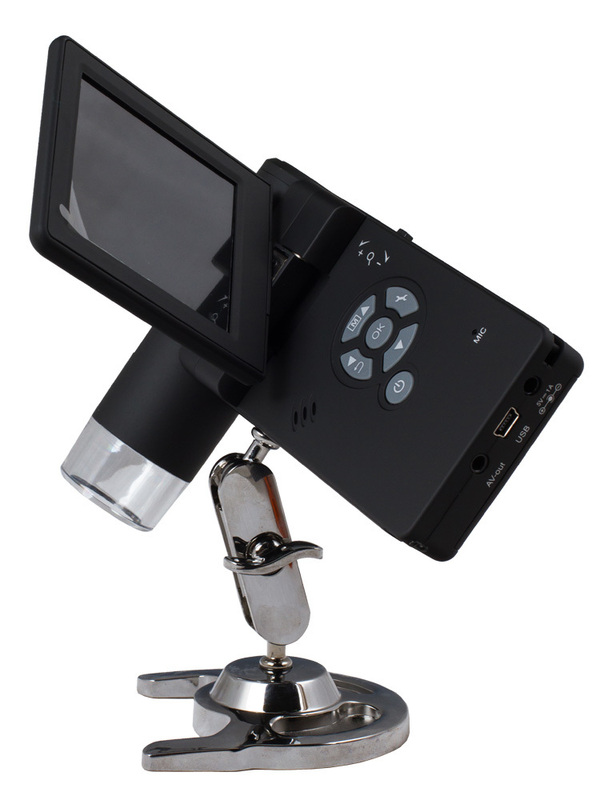 Levenhuk DTX 500 Mobi Digital Microscope is not compatible with external digital cameras.